I'm glad to see you are interested in a Membership at Front Sight. Named the Challenge Membership after our gun enthusiasts' hit reality TV Series, Front Sight Challenge which is shown twice each week on VERSUS (VS) Network, this membership will allow you to train to the same impressive levels of the Front Sight students you see as Front Sight Challenge contestants on TV. Who knows, you may be a future Front Sight Challenge contestant after attending the courses under your Challenge Membership! 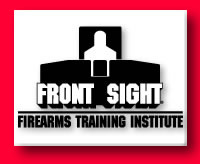 With a Front Sight Challenge Membership you have opportunity to achieve a level of skill at arms that exceeds 99% of the people who carry a gun for a living and that includes SWAT and Military Special Operations personnel. You will forever walk with a quiet sense of pride and comfort, knowing you can handle yourself in any violent attack or lethal encounter. Your marksmanship, speed, gun handling, and tactical skills will extremely impress anybody and everybody you train with. People will walk up to you at the firing range and ask how you got so fast and so good! Think I'm kidding? It happens all the time to Front Sight Challenge members! Guaranteed placement in your courses with two weeks' advance enrollment... No worries about whether you can "get into a course." As a member your spot is guaranteed. Just complete your online Application for Training prior to two weeks of the course date and you are in! Like everything else we offer, no other school can offer you such flexibility with your scheduling! Enroll online today with our Secure Enrollment Form or simply call us at 1.800.987.7719 to enroll over the phone. 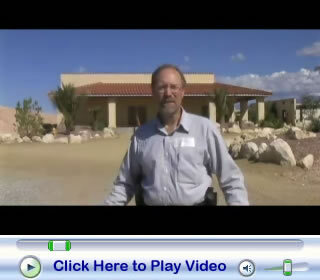 Due to the popularity of our 26-episode reality TV series, thousands of people visit our site every day and find their way to our Front Sight Membership pages to take advantage of the greatest firearms training value in the world. You should too! The VALUE of a Challenge Membership FAR EXCEEDS the cost. As you know, the cost of a four-day course alone at Front Sight is $2,000 and a Two Day Course is $1,000. If you were to simply attend each course in your Challenge Memberships just ONCE, the value is $15,000! So if you attend each course JUST ONCE (which we know you won't) you get $15,000 in value... If you attend each course multiple times with different weapons (which we know you will do as much as possible) the value of your Challenge Memberships exceeds $50,000! So you are going to get anywhere from $15,000 to over $50,000 of value out of your Challenge Membership and we are going to get a lifetime of your good will, good words and great referrals! Everyone wins! ___ 90 monthly credit card payments of $133 for a total cost of $11,970. So choose which payment plan you want and call my office between the hours of 8am and 6pm PST at 1.800.987.7719 to enroll over the phone or use the Secure On-Line Enrollment Form. I look forward to seeing you at Front Sight as a Challenge Member and someday seeing you on our TV Series too!